Sound of Hockey is brought to you by NHLtoSeattle.com. 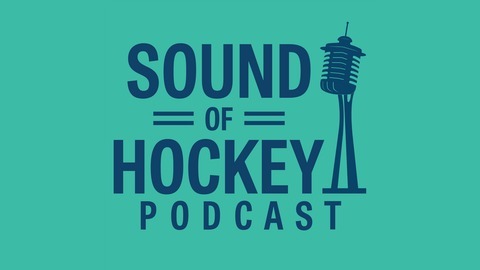 This show is a general hockey podcast - produced for and by hockey fans - which will often feature news and discussion surrounding the sport in Seattle and the rest of the Pacific Northwest (the... Sound... area. Get it?). John Barr, Andy Eide, and Darren Brown are all based in Seattle and are all obsessed with the sport of hockey. John (Sharks fan) is the owner of NHLtoSeattle.com and has been leading the grassroots movement to bring NHL hockey to the Emerald City. Andy (Canucks fan) is the beat writer for the Seattle Thunderbirds of the WHL and aims to be the best hockey writer in Seattle. Darren (Wild fan) has played hockey his whole life and aims to be the best hockey blogger/podcaster in Seattle. Together, these guys will entertain you and keep you informed of all the latest hockey rumblings from Seattle and from all around the hockey world. SUBSCRIBE! Short but sweet, Episode 33 is a fun one! John is fresh off of a HUGE Game 6 double OT San Jose Sharks victory, and his podcast performance is notably impacted by the emotional win. Meanwhile, Darren and Andy are simply exhausted from enduring such a long contest, but they soldier on to break down that game and all the other awesome recent playoff action. We also get a good Seattle update from the guys, including news on arena progress after Andy got to tour the construction site this past week. Plus, some chatter on who the remaining candidates are to be the first GM of the Crapweasels. As always, lots of general NHL talk including the latest on coaches being hired, and segments this week include an impromptu You Don’t See That Every Day, Weekly One-Timers, and Games on the Radar. SUBSCRIBE! ENJOY! REVIEW! 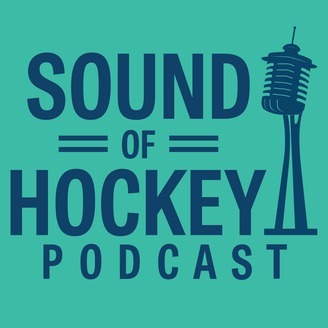 BUY A SOUND OF HOCKEY T-SHIRT! Episode 31 - PLAYOFF TIME!! !